Orbital were recently confirmed to play live at the massive Space Opening Fiesta next Sunday, 27th May. With an electrifying and exclusive live set, Orbital – brothers Paul and Phil Hartnoll - are back with an unbelievable bang this year with not only with an appearance at Space Ibiza, but the release of their first new album in eight years, appropriately titled ‘Wonky’. The duo will be testing it live on the Space stage, surrounded by thousands of music hungry fans keen to hear their new productions as well as some classic tracks. 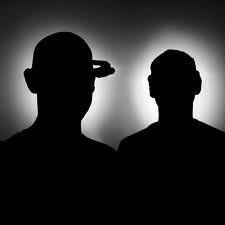 Orbital were formed in the late-80s in the brothers’ hometown of Sevenoaks, London, close to the circular M25 motorway which inspired their name. It was in 2004, after seven albums, numerous film soundtracks and original compositions under their belt and more than 15 years working together, that they decided to take a break and work on solo projects. They returned to circuit in 2009 and following the unbelievable response to their comeback performances, the brothers decided it was the right time to create another album. Click HERE for the full Space Opening line-up.